Rotmans is an Oreck Authorized Dealer and carries a variety of Oreck vacuum cleaner models. Oreck has a reputation for making the finest vacuums available and its continued goal is to provide lightweight and easy-to-use cleaning products for every room in the house, each with exceptional durability. From canister to upright models for both home and commercial use... our experts can help you find one that is right for you. 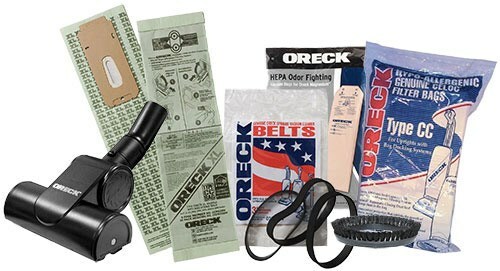 In addition to stocking their vacuum cleaners, Rotmans is also an Oreck authorized repair facility and carries a wide assortment of bags, belts, filters, parts and accessories. Stop in for a demonstration of what makes Oreck the leader in home cleaning!